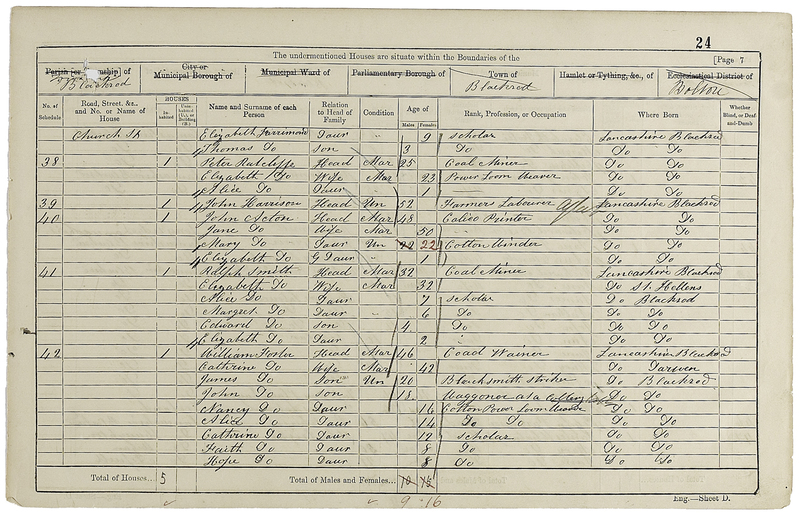 From looking at this census return what were the main industries in this area? Find out about the different jobs listed if you are not sure what they mean. What age group is covered by the term ‘scholar’ on this return? What do you think the term ‘scholar’ means?